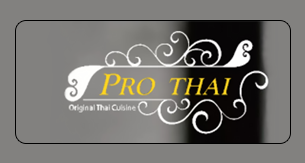 Online ordering menu for Pro Thai. Some of the authentic Thai dishes we serve here at Pro Thai include Pad Cashew Nut, Kale with Crispy Pork, and Crispy Pork Kra Prow. Our menu also features Tom Yum Soup and Duck Tamarind. Find us between Harlem River and Museum of the City of New York at the corner of Lexington Avenue and 101st Avenue. Order online for carryout or delivery!